Internationally acclaimed rock star Yoshiki, co-founder of the legendary band X Japan, premiered the theme song he wrote and composed for Hello Kitty, titled Hello Hello, at the opening celebration of Hello Kitty Con 2014, the first official Hello Kitty fan convention in the world. Presented in conjunction with Target, Hello Kitty Con celebrates Hello Kitty's 40th Anniversary and is being held at The Geffen Contemporary at MOCA (The Museum of Contemporary Art), in Downtown Los Angeles from Oct. 30 - Nov. 2. Sanrio designer Yuko Yamaguchi first approached Yoshiki to write the song in 2008, however it was not until his performance this week that the song was shared with the public. Yoshiki dedicated Hello Hello to Kunihiko Tsuji, the late VP of Sanrio and a close personal friend. The song will be released at a later date in multiple languages. "I am very honored to be given the opportunity to compose this song," said Yoshiki. "I hope that Hello Kitty and the theme song will bring more peace and the melody of love to the world. 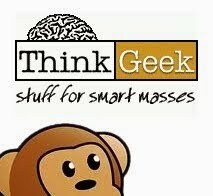 I want to share this with my children one day." Yuko Yamaguchi added, "we are so grateful to have the internationally acclaimed artist Yoshiki compose the theme song for Hello Kitty in honor of the iconic brand's 40th anniversary. When I first met him in the winter of 2007, I knew right away that Yoshiki would be the perfect person to pay tribute to her." 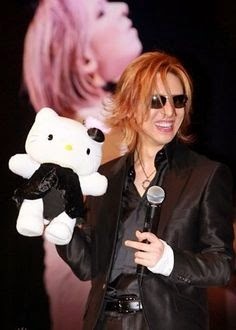 In 2009, Sanrio created "Yoshikitty" modeled after Yoshiki and the first Hello Kitty doll to be officially named after somebody. "Yoshikitty" shares the iconic rock star's famous look of half-spiked-half-wavy blond hair, purple eye shadows and black clothing, although she retains her cute red bow. Yoshiki has been making headlines in the US with his legendary band X Japan who recently performed their first stateside concert in four years at New York's Madison Square Garden. John Battsek, Executive Producer of the Oscar-winning Searching For Sugar Man, started principle photography at the MSG concert for a documentary he is making about X Japan and their tumultuous history, which involves several breakups and the deaths of two of its members. The band has ultimately overcome these obstacles to sell 30 million albums and singles to date and to become one of Asia's most legendary rock bands. Stephen Kijak (Scott Walker: 30 Century Man, Stones In Exile) will direct. As one of Asia's most influential music artists and biggest rock icons, Yoshiki composed the theme song for the Golden Globes® and also composed and conducted the Super World Orchestra at the opening ceremony of the World Expo. Yoshiki's compositions also include a piano concerto that he performed alongside a 77piece orchestra celebrating the tenth year of the Emperor of Japan's reign.